6) Better prospects for later job. If you wonder how acquiring important transferrable skills can give you a better prospect at finding a job, you may want to have a look at two recent publications by the UK Science and Technology Facilities Council (career paths and 14-years on) to find out about possible employment destinations of successful PhD students. 7) Passion for your subject. You can go along a long way with this one. I have seen several people keeping through against all the odds, just because of the huge passion and enthusiasm for their projects. If this is you, then you are off to a great start! 8) Freedom. I guess this is my favourite! A 9-to-5 job would simply kill me and there is nothing I valued more about my PhD (and indeed about being an academic) than the freedom to manage my own time. Don’t get me wrong! This does not mean less work. In fact, I cannot count the number of weekends I have spent making sure I would meet the next deadline or the number of night shifts I have taken during experiments. But it has always been my choice and I simply can’t value this enough. 9) Good academic grades. Sure you need to have reasonably good grades! In the UK System this means at least an upper-second degree classification. However, academic grades are only part of the equation. 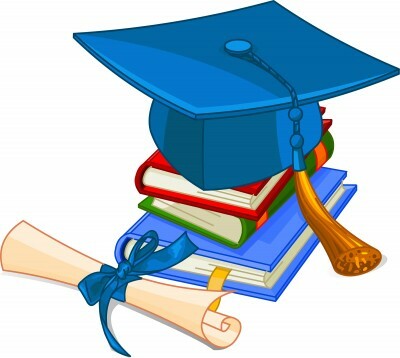 I have seen students with excellent first degree classifications failing to successfully complete a PhD, while others with barely average grades shine through. This should not come as a surprise, though, as the set of skills and attitude required to be a successful undergraduate are very different from those needed for a PhD (more on this topic in a future post in this series). 10) Zest for the challenge. I just came across an estimate that only about 1% of the population in the UK holds a PhD. I guess, if you get that far, it is something you can be proud of. So, now, does any of these reasons resonate with you? If so, then my advice would be exactly the same I received when I had to decide whether to do a PhD or not: Just invest in yourself and go for it! PS Did you find this post useful to make up your mind about starting a PhD? Do you have some other good reason you want to share? Then please leave a comment below. I’ll be happy to hear form you. PPS This is the first in a series of posts about doing a PhD. If you are interested in reading more, you can subscribe by email to this blog, just to make sure you will not miss any. Simply leave your email address in the box and press the “Follow” button. See you around next week. the part 1 and 2 are simply electrifying. today, i got more than i want in this post. So pleased to hear! 😊 Good luck with your application! Thank you for this great information. 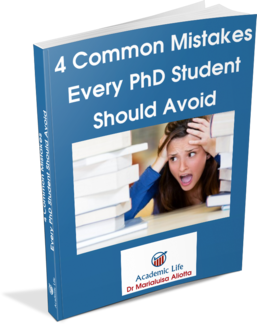 I was initially hesitating to go for a Phd simply because I have heard people say that is very hard and not worth taking. Thank you very much for the article and you thoughtful response to your readers. I just started my Phd fall of 2016. I love my school , professors and subject I’m doing . The only challenge I’m facing now is my department doesn’t not fully cover tuition and they have a very limited graduate research assistantship position . Since my student loan is pulling up ( p.s I’m an African studies major ) I’m having a second thought about staying in the program . Event though I’m a 4.0 student I don’t have teach experience so I don’t know how I can secure other financial assistant . I would love to hear your advise in this . Maybe you can try offering private tuitions for a small fee? This would allow you to gain some teaching experience and top up your scholarship with some additional income. Alternatively, you can consider taking up a part-time job. It’s not easy to work and study at the same time, but many students do. I do not know if this is applicable to your circumstances, but it might be worthwhile exploring. Good luck and all the best! Maria Luisa, I found your post very useful. I have noticed you wrote it several years ago but those 10 reasons continue relevant. But, there is not clear to me how doing a PhD is related to “Just invest in yourself and go for it”. thank you. Thank you for your comment; glad to hear you found the post useful. For me “just invest in yourself” meant stop worrying about pleasing or upsetting others and do something that would enrich my experience and my life. For others it may mean accepting to invest three-four years of their lives in finding out whether a career in research is for them. Basically, it means: if you have the opportunity and the inclination to do a PhD, just go for it. It may well be one of the most rewarding experiences in your life, albeit a demanding one as well. Thanks for the data provided! I was researching for this write-up for a long time, but I was not able to see a dependable source. That’s really interesting. Thanks for posting all the great information! Had never thought of it all that way before. Good to hear that! 🙂 Hope you will find my other posts useful.